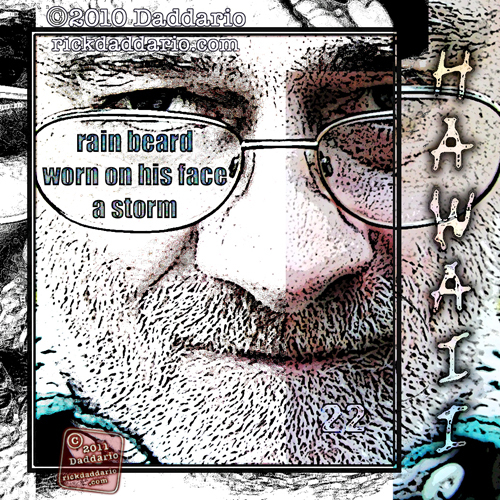 Rick Daddario currently plays and works on a small rock in the middle of the Pacific Ocean otherwise known as the island of Oahu. He has been a visual artist far longer than he realizes and tends to explore art on his own terms. For a number of years he explored Postal Art and among the formats—postcards. He has interests which include but are not limited to writing, bonsai, rocks, and ten thousand other things. Imagination and the content of inner and outer worlds are Rick’s endless resource. 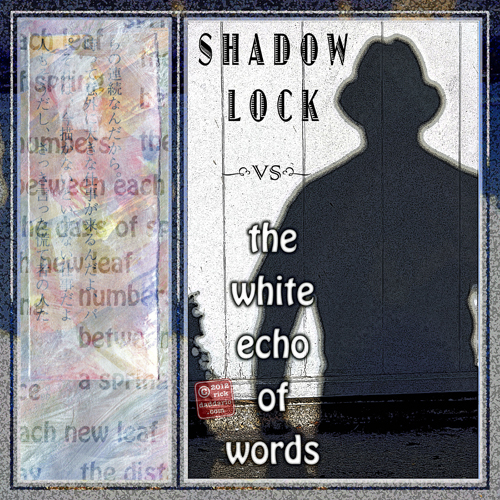 He enjoys mystery and shadows, including shadow self-portraits, which he claims are available day and night. The flip side of shadows—light—is another favored subject. Words and images appeal to Rick. Unexpectedly he discovered he had been exploring these together for decades. Now he does so intentionally in haiga, etegami, mixed media, experimental and book formats. Rick’s premise is that fun is important. He says when fun is part of his creative process it shows up in a viewer/reader, a reaction he likes. Shadow self-portraits are a planet – one of about 19 planets – he lives on and explores. Hawaii is one of the places Rick likes to live, and he intends to remain on his “little rock in the big puddle” for as long as possible. 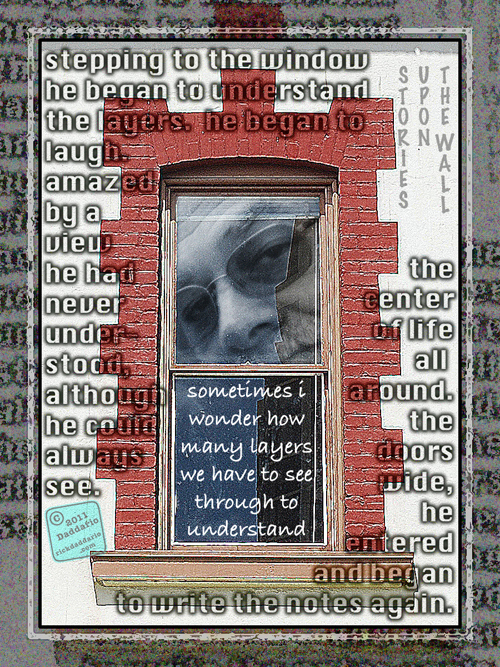 Rick’s visual art dotcom includes writing within visual work, sales and his 19 Planets Art blog. Contact is available through this site. Rick’s 19 Planets Art blog is his most active blog. He posts several times a week showing current work and occasionally work from previous years. 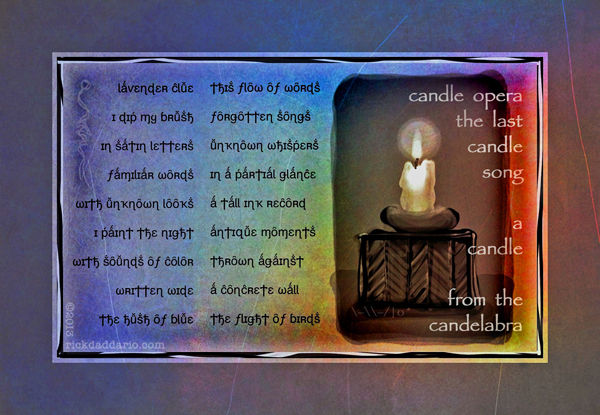 This Is Not That They Are Just Connected—Rick’s blurb.com book of haiga (image with haiku as one work) was completed in 2012. More books through Blurb or other venues are planned. Rick’s 19 Planets Cafepress shop has been maintained since 2003. It includes a variety of items. The “Postal Connection” area contains postcards. Rick’s 19 Planets Access Gallery (a “works” blog) was set up to utilize Fotomoto, a print-on-demand site which focuses on prints and cards. It includes free eCards. aloha and thank you Angie. this is great fun. it’s setting off all kinds of do it again chimes. . . . although staring into that face is a bit spooky. ha. aloha. aloha Cynthia. beauty is a good thing, i like that. as a visual artist I’m always looking. well. maybe 97% of the time I’m LQQKING. . . . I’m having fun with what I see here. mahalo (thank you) and aloha. Thanks for the awesome (and brief) literature! aloha Yaakov – thank you and you are welcome of course. There are a number of different ways to add words to an image. Gimp as PP&P said works almost like Photoshop. Photoshop Elements 6 is the lite version of Photoshop that I use altho i use other programs as well. with each program there is a process to learn and the more you explore that process the more options you will discover there are to do what you want to do. 1- words on a solid value background (value being light and dark) just require sizing, placement and the value to contrast with the background—which can be done in a number of ways depending on the program you are using. 2- words on backgrounds that vary in value can be more challenging. the simple solution is to ring each letter with black and then use a light value for the letter. variations on this also work and there are usually several steps involved to make it work right for you. again experiment and explore. the more you do it the easier it will become. if possible start by looking for areas that are solid in color or value and then build your knowledge each time you place words. any photo editing program that has the ability to add words can be made to work. it’s taking the time to figure out how each program does it that may take a little exploration. I most often use Photoshop Elements—this is the lite version of photoshop as i do not need all the things a full version can do (i’ve had both and the lite is enough for what i do including the modification and altering of images as well as creating them from scratch). the lite version is significantly less in cost than the full version—or it was the last time i purchased it. on my blog beneath each image i list information on the process, tools and programs i’ve used to create the work. this may help you if you see an effect you like or a situation where i’ve been able to add words that is more complex than the simple contrast of background to font. They look really nice, but they’re hard to read the fonts amid the clutter of the background. Would love to know what the candle one says. cool and aloha buffalostarmedicine. contact me and I’ll send the words in an email with less clutter.